It is no secret that a happy staff is a productive staff. A well trained, efficient, and motivated restaurant staff can do wonders for the customer service. 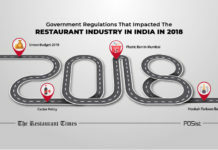 Contentment of the restaurant staff is not just reflected in the way they behave with their customers, but also in the speed and efficiency of their work. This article will tell you how to increase the efficiency of your restaurant employees. Keeping your staff happy must be one of your prime goals not only as a restaurant owner but also as an employer. If your team is not content with the way things work in your restaurant, rest assured it will reflect in their service. Happy and motivated restaurant staff goes out of their way to deliver impeccable service to customers. 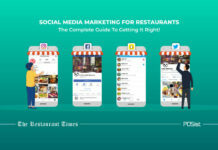 They understand that they are an extension of the restaurant brand and they care about the image of this brand, hence genuinely make the extra effort. But if your restaurant staff is demotivated and sad, does not like the work culture or does not want to work at your restaurant, it will show itself in the form of slow customer service and bring the entire restaurant and all the other team members down. This article will tell you more regarding the effect of motivation on employees. That is why keeping your staff content should be an area of concern for you. In this article, we will talk about how to keep employees motivated and happy in a restaurant. 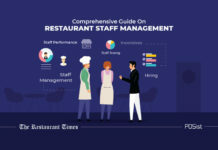 Now that it has been established that keeping your restaurant staff happy and motivated is essential for restaurant productivity, now we come to how you as a restaurant owner can do so. Try these tips that would help you increase the productivity of your restaurant staff. Before you send out your restaurant staff into the battleground, it is essential to train them properly. This is true for all the practical reasons as most of the restaurant mishaps happen because of lack of training. Even if you have hired an experienced staff member, you still need to train them according to the culture and policies of your restaurant. Until you do so, the new hire will not feel like a part of restaurant operations which will shatter his confidence and keep him from performing his best. Have a proper Staff Orientation and Training Program for each of your restaurant employees. Learning signature recipes, handling special equipment, and a certain way of doing things, all come under the training routine, and must not be ignored. Regular training sessions or open house sessions also play a part in keeping the restaurant staff motivated. They boost their confidence and give them a view of the bigger picture. When your employees can look beyond just their role and see the broader effect of their roles in the restaurant, they feel significant and want to work better. Often restaurateurs focus so much on providing top-notch facilities to their customers; they forget to consider the comfort of their employees. That is one of the main reasons for a high attrition rate in the industry. The job that your restaurant staff performs requires them to be on their toes always. Rigorous hours and the tedious nature of the job are exhausting, both physically and mentally. If you are wondering how to keep your employees motivated and happy in this scenario, providing properly designated spaces for your restaurant staff to relax between shifts is a good start. The kitchens must also be well-ventilated to avoid any health hazards and allow the kitchen staff to cook comfortably. Creating a healthy work environment and a happy and welcoming team will let your employees have emotional and psychological support. Keeping your staff happy requires just a bit of attention. Create fixed shifts for your restaurant employees and ensure that there is rest between the shifts. Overworked and tired employees will not deal with your customers right. In the restaurant business, each hour spent by your employees amounts to the direct business of the restaurant. It is vital to compensate your employees for the extra hours they put in to avoid any feelings of dissatisfaction among them. Therefore, it is essential to have a clear overtime policy for your staff. It is unfortunate that in most restaurants, the quality of the meals provided to the restaurant employees is abysmal. While it may not be possible to provide the same quality of food to the employees that are served to customers, you must ensure that the quality of the meals is good and wholesome. 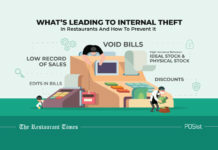 If your employees are well fed, then the chances of pilferage and thefts from the inventory are also significantly reduced. Also, no one can perform well on an empty stomach. The productivity of your employees will certainly fall if they are surviving on bare minimum meals and they will lose their will to work. Create an incentive program to motivate your restaurant employees and keep them happy and productive. Incentives and recognition encourage employees to perform better in the workplace. Providing some monetary reward increases the motivation among the restaurant staff. Programs like “Employee of the Month,” or “Star Server” etc. not only boosts the performer’s morale, they also encourage staff members others to perform as well. Create incentive programs among teams as well. A clear hierarchy helps your restaurant staff understand their future in the restaurant. Often, there is a lack of motivation as well as the passion at the low-level jobs of restaurants. It is important to let your staff know that with good performance, they can be promoted to senior positions in the restaurant. One of the most significant problems in the restaurant business is the high attrition rate of the staff. Restaurant staff turnover rate is exceptionally high, especially at the junior levels. Therefore, it is a good idea to offer a longevity bonus to your restaurant staff. If your employees stay for more than a particular period, offer them a monetary reward. It would be unfair to expect a ton out of your employees without telling them exactly what you want out of them. Therefore, it is important to define goals for your staff. Clearly defined goals help your restaurant staff to stay focused, and work towards that goal. When employees know what is required of them and there is no confusion regarding their workload, they tend to perform far better. All great leaders have always led by examples. A restaurant functions no differently. The owner’s presence is integral to the success of the restaurant, and also helps keep up the morale and energy of the staff. Restaurants are usually close-knit spaces, with most of the staff often coming from the same area or background. As hiring is mostly done through referrals and word of mouth, it is very likely that the most or all of your restaurant staff are family, next of kins, or friends. In such cases, effective communication with the staff is crucial. Conduct regular meetings and take daily updates with the Team Leaders. Listen to the problems that your employees are facing and work to resolve them. While it is important to give feedback and also criticism, you must take care to do it in the right way. You don’t need to sugarcoat your words, but also remember to keep your patience in check. Give your employees regular feedback on their work, so that any objection from your side does not come as a surprise. If an employee of yours has made a mistake, point it out, but also tell them the way to rectify it. As much constructive criticism is needed, it is also important to acknowledge the good work done by your employees. Ultimately, your restaurant staff is the one who has to deal with the customers. If your staff is dissatisfied, it will most certainly reflect in their service. Thus, a happy and motivated staff becomes integral to a restaurant’s success. Do implement these tips, and let us know how they worked out for you in the comments below! Keeping your restaurant staff happy is the only way to ensure great service and also help reduce the attrition. This article provides some great tips to maintain staff motivation. Thanks for sharing. When it comes to achieving long-term success in the restaurant business, it’s not all about the food. It is about the experience as a whole and one of the biggest influences on the quality of the experience is the people who deliver it, your staff. Keeping the restaurant staff motivated is very crucial. They are the face of the restaurant and your reputation depends on that. Make sure you are treating your employees right and giving them the acknowledgment they deserve. The state of the workers in the restaurant industry is pretty bad. All restaurant owners should follow these tips to keep their restaurant staff happy.